This year's Metro Manila Film Festival is probably a bit of a surprise to millions of Pinoy moviegoers as the selection is totally different from what this generation is familiar with. Since 2000’s, the festival has churned out entertaining movies instead of quality films that it was known for during the seventies. In fact, the MMFF is noted for contributing to what is known as the other “Golden Age of Filipino Movies.” Since 1976, this festival showed classics like Araw-Araw Gabi–Gabi, Diligin Mo ng Hamog ang Uhaw na Lupa, Banta ng Kahapon, Minsay Isang Gamu-Gamo, Insiang, Bona, Ganito Kami Noon Paano Kayo Ngayon, Himala, Haplos, Kisapmata, Burlesk Queen, and many others. However, the festival turned ugly during the late eighties where movies like “Patrolman” and “The Untold Story of Melanie Marquez” reaped awards. Since then, franchise movies like “Enteng Kabisote,” “Ang Panday,” “Tanging Ina” “Shake, Rattle and Roll" lorded the festival. Prompting some kibitzers that the festival is no longer a showcase of quality films but a presentation on different stupidities of Pinoy movies. 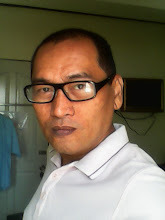 Perhaps, it was the fault of the MMFF selection team which preferred commercial, instead of quality films; focusing on box-office returns instead of Philippine cinema's pride. Thus, when the movie lineup of the 2016 edition of Metro Manila Film Festival was announced, many were surprised; like with other editions, controversies already hounded the festival. Some moviegoers were disappointed that no movies for kids were selected; instead, the festival is like a showcase of independent films this year. There are even those who already predicted that the festival is doomed from the start in terms of box-office gross. They are betting that it would take a miracle for this year's festival to gross just even one fourth of what previous years has achieved. The naysayers attributed it to lack of big stars like Vic Sotto, Vice Ganda, Ai Ai de Las Alas, Kris Aquino, and some current and hot young stars that will help propel the commercial success of the festival. 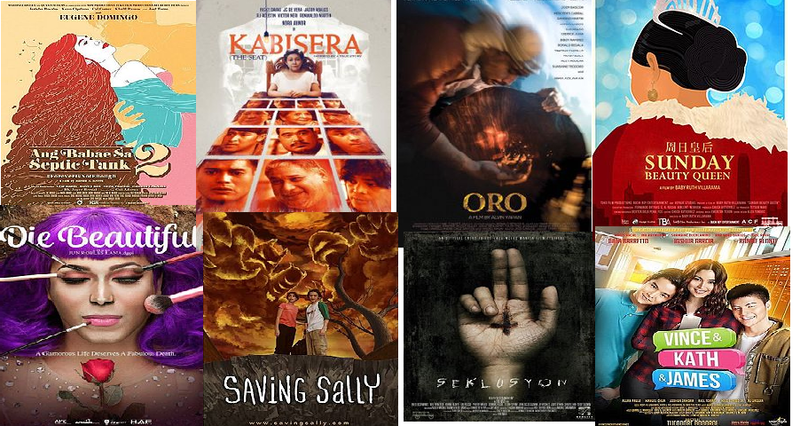 Here are the movies which were selected to compete in this year’s Metro Manila Film Festival. The sequel to the most commercially successful indie movie of all time. This movie was already shown during the recent Tokyo International Film Festival where Paolo brought home the best actor trophy and Audience Choice Awards. According to the director of this film, the movie’s inspiration was Jennifer Laude; the gay transgender who was allegedly murdered by a US serviceman. It is interesting to note that this movie was rejected during the 2015 selection when only the script was the basis for evaluation. This is a family drama involving extra–judicial killings. It is considered as a political thriller movie starring the great theater actress Irma Adlawan, Joem Bascon, and indie film regular Mercedes Cabral. It tackles illegal mining and takes place in a secluded mining village disrupted by an armed group which claimed to represent the government and alter the way of life of the village. This is the only live action animation film in the selection. It stars Rhian Ramos and Enzo Marcos. This movie started filming in 2005 and was only completed this year after finding replacement for the original actress. Of course, this film festival won’t be complete if nary a movie that will scare moviegoers, even though it’s Christmas time. It stars current young stars like Neil Ryan Sese, Dominic Roque, Elora Espano, Ronnie Alonte, Rhed Bustamante, Phoebe Walker, John Vic De Guzman, and Jr Versales. This is a documentary drama and perhaps the first time such movie is entered in the festival. It stars Judelyn Acosta, Mylyn Jacobo, Cherrie Mae Bretana, Leo Solomenio, and Hazel Perdido. This film documents OFWs in Hong Kong as they take part and prepare for an annual beauty pageant. The movie already premiered during the 2016 edition of Busan International Film Festival in the Wide Angle Documentary Competition. Perhaps, this is the movie that will top the box-office as it is a romantic teen drama story. It is based on an online series called Vince and Kath that went viral. The story is all about two teenagers falling in love through text messages. It stars Julia Barreto, Ronnie Alonte, and Joshua Garcia. If you are familiar with previous editions of the Metro Manila Film Festival, you can say that this year’s lineup is quite bleak in terms of commercial appeal as the only big star is Nora Aunor who has a dismal box-office performance since 2008. However, in terms of critical acclaim, the movie lineup looks promising especially when you have films that are as timely as today’s headlines. Just because the usual fares are not present, it doesn’t mean that we should not patronize this year’s film festival. Take note that the dates intended for Metro Manila Film Festival were already petitioned by American producers because Christmas season is a lucrative time for films. Thus, we as Filipinos should patronize the 8 films to deny foreign films from lording the box-office during Christmas holidays. Doing so, you will support the entire Philippine movie industry which was recently resurrected by indie films winning international awards. However, this is not the only reason why millions of Filipinos should watch not only one film but if possible all of the films. Here are more reasons why. For those who were clamoring for quality films, this is now your time to shine. Your support will send signals to movie producers that there is indeed a market for serious and quality films. This will send a message to Vic Sotto, Vice Ganda, Kris Aquino, and et al. to level up and produce sensible comedy and horror films instead of the usual inane and chopstick comedies and scream fest movies. For Nora Aunor fans, this is your time to show the world that the Nora Aunor fever is still alive. There is now a level playing field and Noranians can no longer claim that her movie is at disadvantaged as it was not produced by big time studios like Star Cinema. 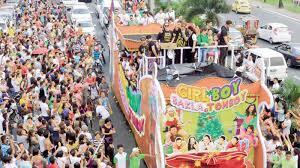 Yes, Star Cinema is fielding one movie but it stars young ones with box-office mettle that are still untested. For indie film lovers, this is your time to prove that the first installment of Babae Sa Septic Tank was no fluke. Yes, Eugene did highly commercial films after that movie but these were produced by big companies like Viva and Star Cinema. This time, she’s back to indie. Filmmakers are hoping to see that sequels do work in indie movies too; not just with Panday, Enteng, and Tanging Ina. For live action and animation films, this is your chance to prove that Philippines can compete with Hollywood when it comes to such kind of movie. You must remember that the last time an animated film competed in this film festival was decades ago. There are animated films shown but just for exhibition, not in a competition. Flocking in droves to movie houses during the entire run of the film festival will inspire big time movie producers like Regal, Viva, and Star Cinema and other potential movie companies to produce more quality films that will not only delight local film goers but international movie critics as well. The Philippines has yet to be nominated in the Foreign Language category of the Oscars and Vietnam already is ahead of us when its French collaborated movie “Scent of Green Papaya” was nominated in Best Foreign Language Film category during thr 1993 Oscar Awards. Change is coming indeed and we should appreciate this change in terms of film selection for the Metro Manila Film Festival. We cannot teach the young generation to be intelligent, critical, constructive, mature, and art appreciating citizens if we serve them with dumb movies. Indeed, it is time to make youngsters be aware of current realities through movies. This is perhaps why the 2016 movie line-up deals with current themes like drugs, extra–judicial killing, and vigilante groups, among others. 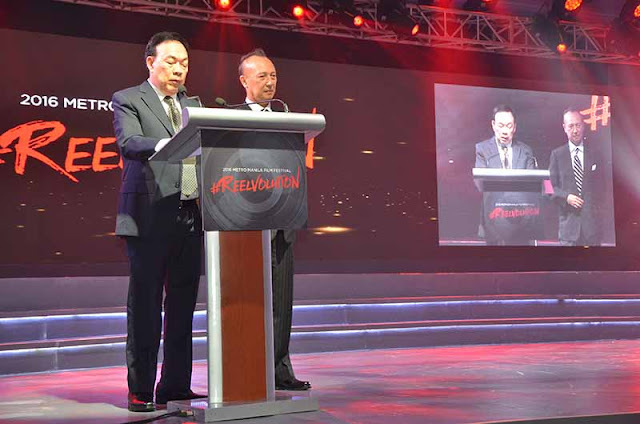 By making the 2016 Metro Manila Film Festival commercially successful, we are telling the whole movie industry that moviegoers indeed have the power and right to quality movies. We should not allow producers to feed us low quality films. By exercising this power, we are also telling all those who are involved to shape up or lose their investments. It is time that film producers lose their control over movie goers by heavily promoting inane films and lure people to watch them, only to waste time and money. Let us claim that power to choose what types of movie we want to watch. So, see you at the movies.